Are you a true animal lover and do you want to combine earrings? Then look no further: these silver colored bird on branch stud earrings are perfect for you! The earrings have a brushed finish. Match this with other bird stud earrings! These minimalist bird earrings are super cute. It is almost impossible not to be happy with these sweet birds. Very cute! These bird earrings have a nice brushed finish. The trendy jewelry from Lovelymusthaves is made of a light weight material and therefore super nice to wear. Complete your outfit with these trendy items. 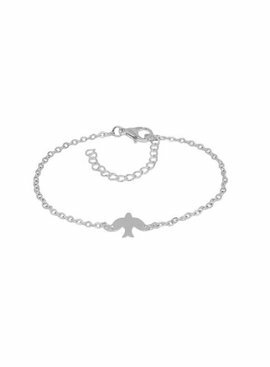 <br /><br /> Click on our brand for all our other jewelry and make the perfect match. 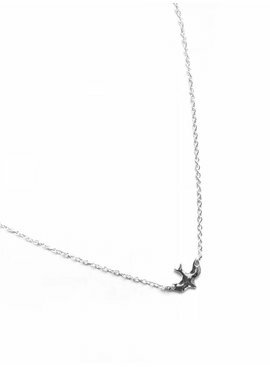 This bird necklace has a small bird as a charm, which hangs obliquely in the neck. This subtle necklace will therefore complete your playful look! These sweet birds will not easily fly away from the cage chain. 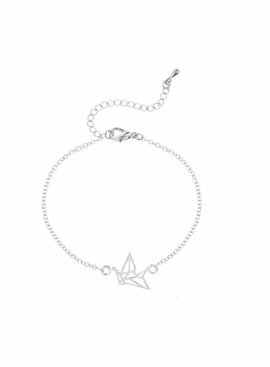 This cutie bird is timeless and minimalistic. Nice to combine with the earrings! 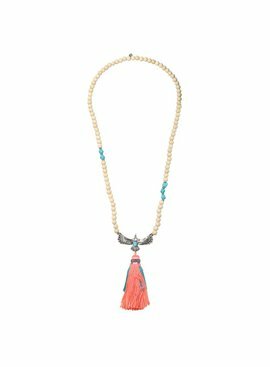 This long Ibiza boho necklace consists entirely of beads. At the bottom of the chain hangs a big neon pink colored brush on silver colored eagle charm.